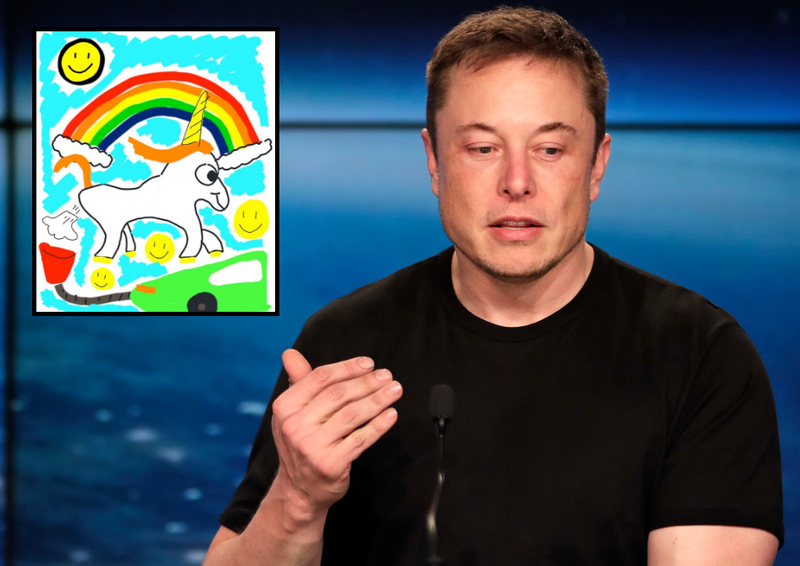 Creative Silicon Valley CEO’s are not always original apparently now that aspiring Colorado artist Tom Edwards accused Tesla boss Mr Elon Musk of using one of his images, that of a ‘farting unicorn’, without any prior demand. Already last year, Mr Musk tweeted the original image, which featured on a mug by Colorado potter Tom Edwards and stated “Rainbows, unicorns and electric cars,” adding it was “maybe my favorite mug ever,” which immediately increased Mr Edwards’s sales of the mugs. Until this year when the image of the ‘farting unicorn’ was used in Tesla in-car interfaces and several promotional issues sent to car dealers. Mr Edward’s daughter, young Lisa Prank, noticed the similarity between the images and claimed the art was ‘ripped off’ by Mr Musk. As journalists got a hold of the growing story, they asked the Tesla boss about it who claimed that he "offered to pay the guy who drew it twice already for something I don't even want. I definitely care about artists getting compensated. It would be unfair not to do so." In the meantime, Mr Edwards’ lawyer, Mr Tim Atkinson, has called on Tesla’s legal counsel to find an amicable solution for the issue, claiming his client would not move to a ‘cease and desist’ but rather send out an “invitation for all parties to continue to benefit from the whimsical, and amazingly spot on piece of imagery my client created in 2010, which now appropriately finds a home in the operating system of the magical vehicles your company produces”.